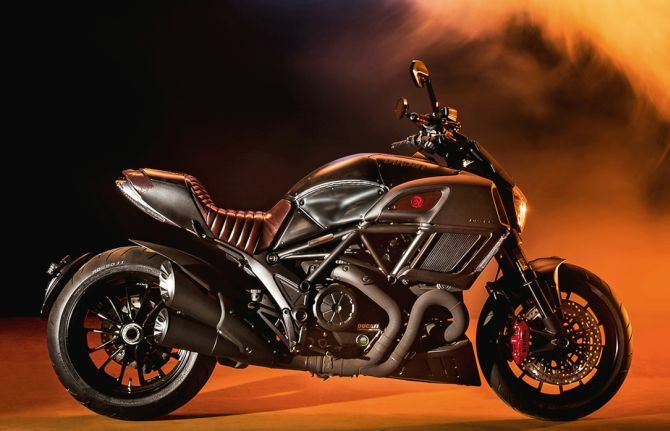 Combining elements from past and the future, the Ducati Diavel Diesel motorcycle has taken inspiration from an imaginary post-apocalyptic and retro-futuristic world. The superbike is the result of partnership between Andrea Rosso, the Creative Director of Diesel Licenses and the Ducati Design Center. 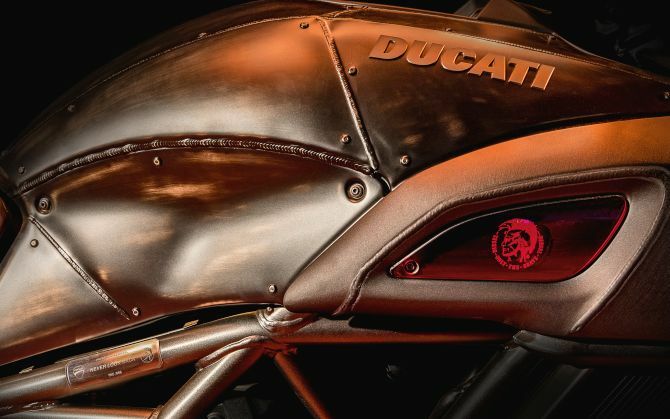 The Ducati Diavel Diesel features hand-brushed steel superstructures with visible welds and rivets providing it an exclusive and timeless look. 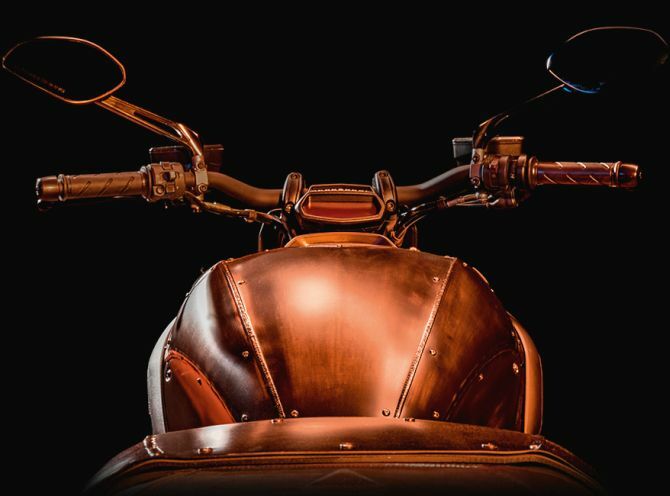 One can see matchless Italian craftsmanship and style in the design of the tank cover, headlight fairing and the passenger seat cover. 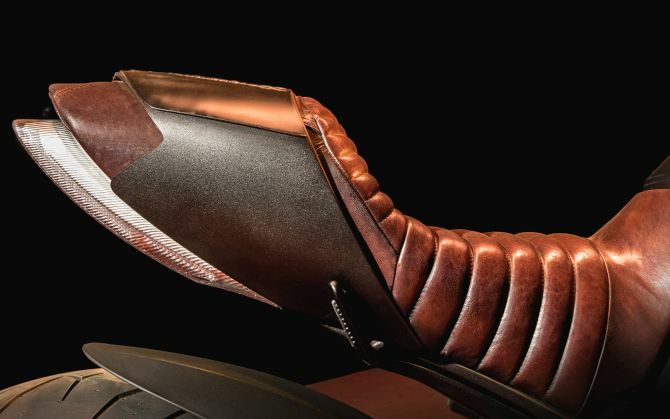 The genuine leather seat bears the symbol of a pyramid with three equal sides, thus identifying the three Ds of Ducati, Diavel and Diesel. Besides that, the exclusive design is reflected through covers of the side conveyors which are made in red methacrylate with the embedded Diesel logo. 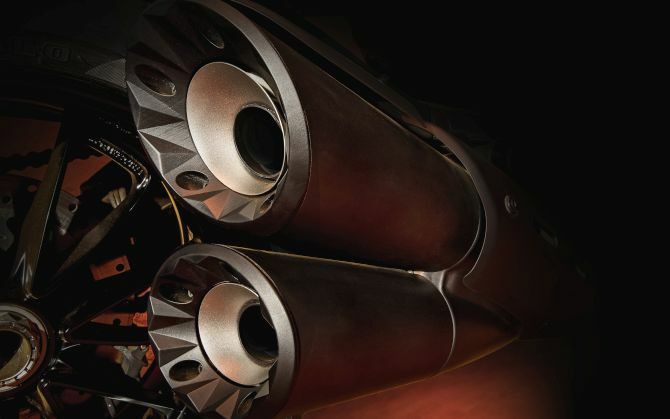 The exhaust system with black Zircotec ceramic coating on the tubes and black silencers is a great work of art as well. The motorbike is powered by a Testastretta 11° DS engine that delivers 162 HP of power and 130 Nm of torque. The superbike comes with three riding modes which can be switched while riding to adjust maximum power, the engine output and the Ducati Traction Control. 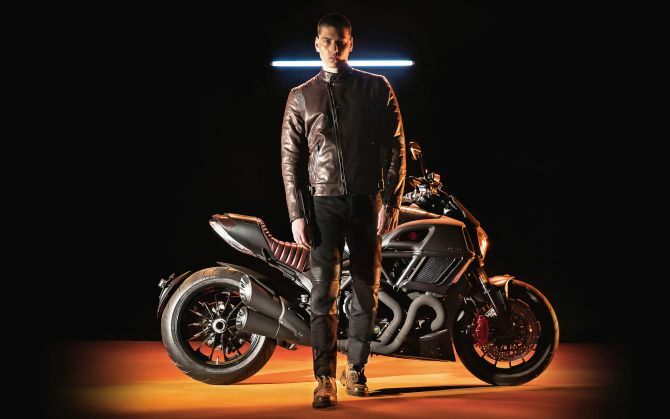 Diesel has also created a capsule collection dedicated to Ducati that reflects the DNA and common roots of the two brands. The collection consists of two Jogg Jeans, a leather biker jacket and two T-shirts. 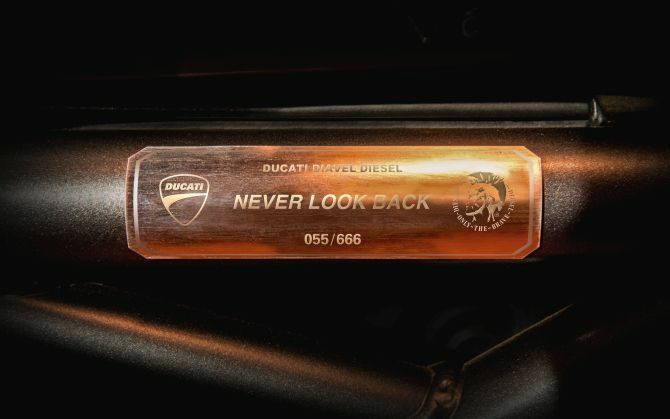 The Ducati Diavel Diesel will be produced in a limited and numbered edition of only 666 motorcycles. There is no word on the price of the superbike yet. Along with the capsule collection, the limited edition Ducati Diavel Diesel motorbike is expected to go on sale from April 2017.